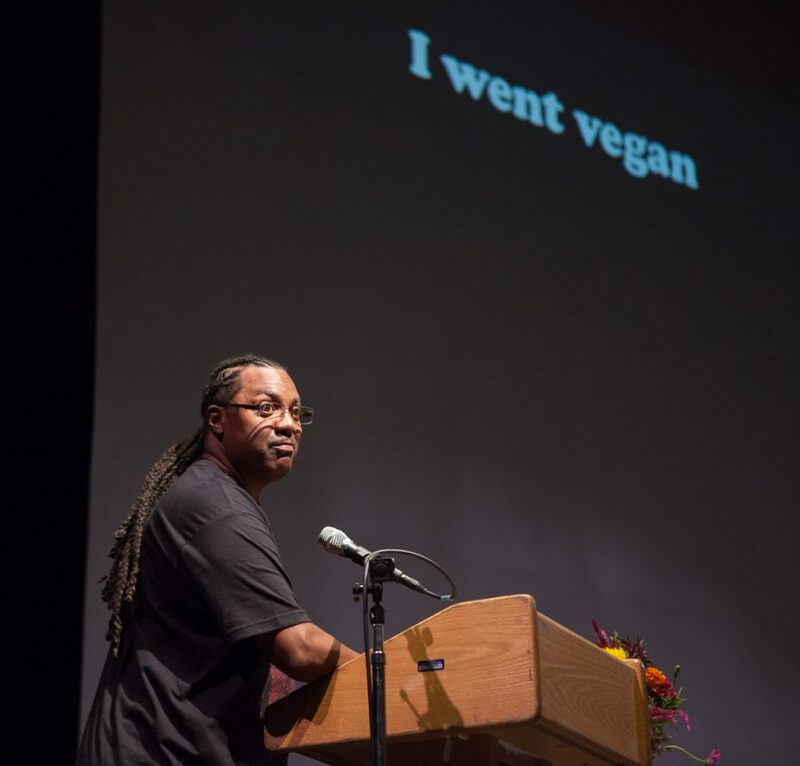 Yesterday, I gave a keynote speech at the Vegan Soul Wellness Festival at Laney College in Oakland. 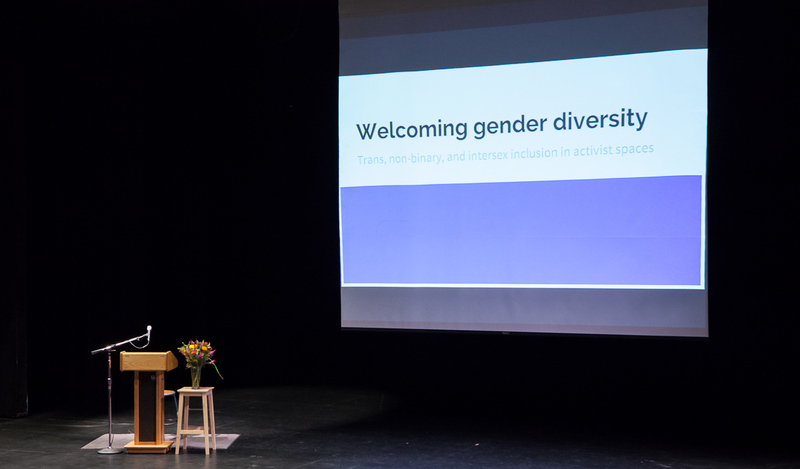 As I blogged previously, this presentation was an updated and expanded version of the Welcoming Gender Diversity talk I gave at the Intersectional Justice Conference earlier this year. 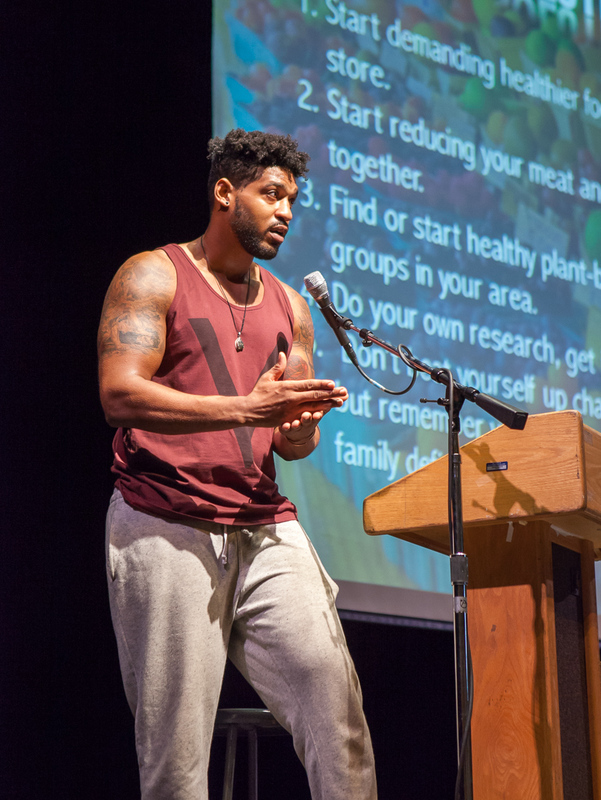 In this talk, I focused more on the intersections of race and gender, and promoted Black Vegans Rock. 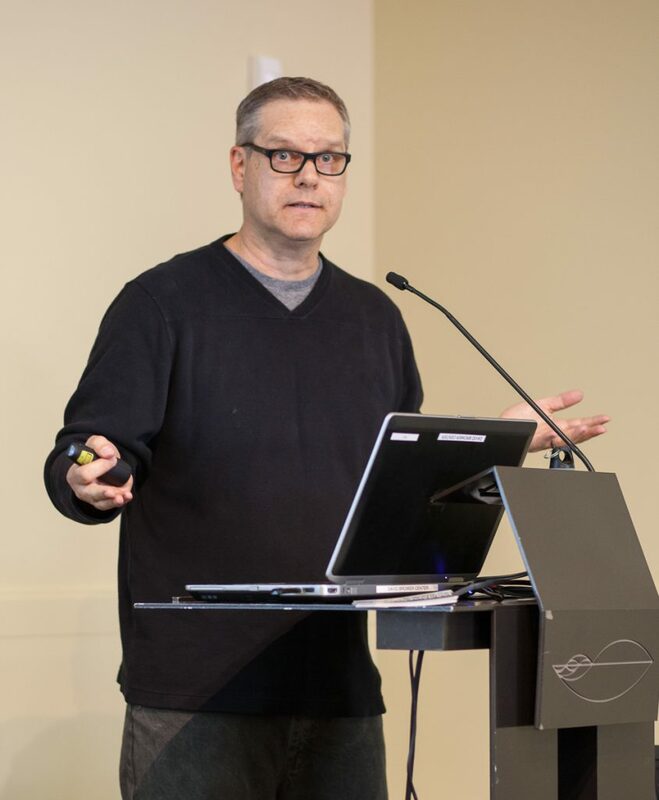 My presentation wasn’t filmed (to my knowledge), but the slides are available online. I was a bit intimidated when I entered the theater and saw hundreds of seats, as I hadn’t given a presentation of this nature to that large of an audience before. The festival was initially sold out (tickets were free but there were limits to venue capacity), but the day of the event it was re-opened to all. 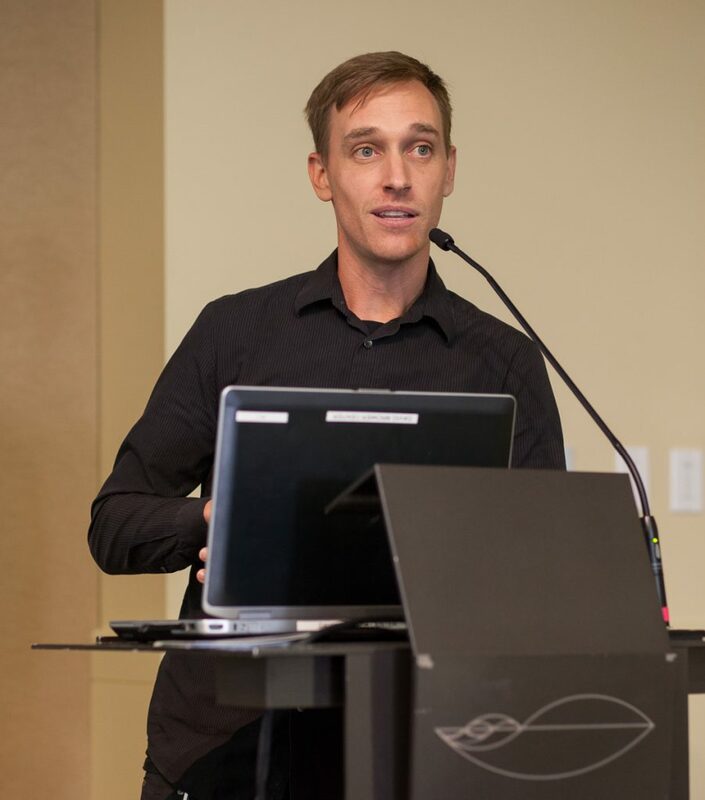 Unfortunately, only a couple dozen people watched me speak, but a number of attendees approached me afterward to thank me and ask for more information. The keynote speech of football player and vegan activist David Carter, aka The 300 Pound Vegan, followed mine, and had a much higher turnout. David and his wife Paige (who is also a photographer) spoke about vegan nutrition and systemic racism, among other topics. Other speakers included lauren Ornelas of the Food Empowerment Project, Nassim Nobari of Seed the Commons, and Keith Tucker of Hip Hop is Green. A number of workshops and cooking demos (which I did not attend) were held simultaneously, and vendors served up tasty vegan food and other vegan-friendly products. I especially enjoyed a chocolate parfait from Sanctuary Bistro, which the owner assured me was not sourced from countries that enslave children on cocoa farms. My full set of photos from the event is available on Flickr. Please credit me as Pax Ahimsa Gethen if you use any of them, thanks! 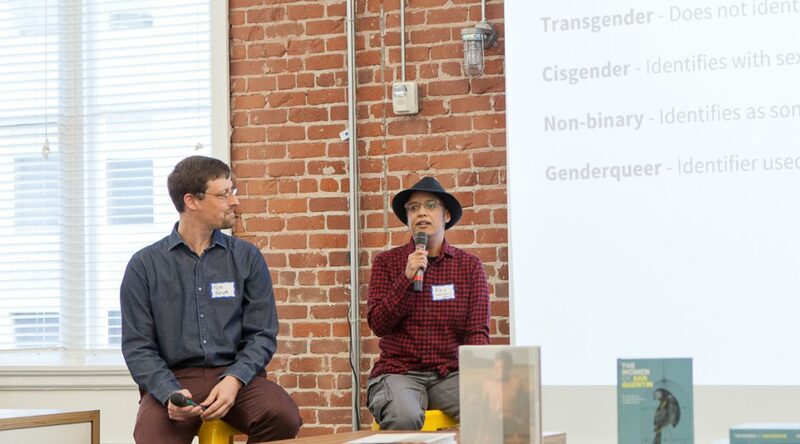 As the abstract notes, I’ll be doing some basic gender education and discussing issues of particular relevance to trans people on Wikipedia, which I previously addressed at the inaugural Bay Area WikiSalon. From combating hate and ignorance and deadnaming to accurately surveying for gender, I’ll address challenges and best practices for improving trans coverage and making Wikipedia more welcoming to trans editors. 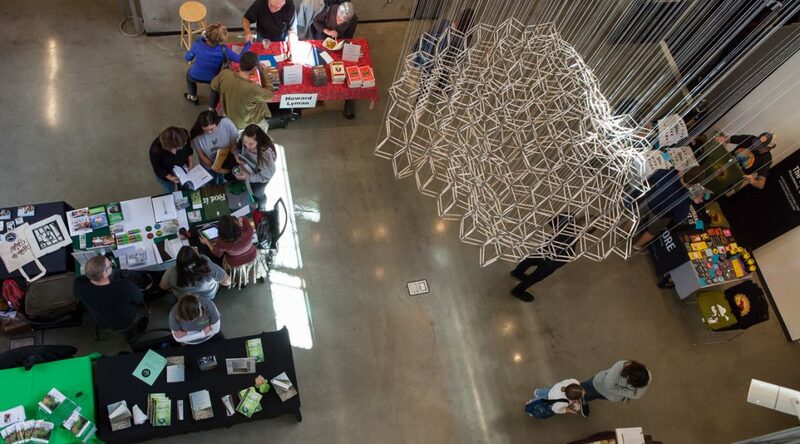 Registration is open, and free attendance (without lunch) is available for volunteers. I received a partial scholarship to cover my travel expenses, for which I’m grateful, especially as Ziggy will be coming with me. Traveling while trans is stressful, and though I’ve visited San Diego many times, I haven’t been there since years before my transition, so I don’t know what to expect. I’m hoping to have a good time in addition to learning and sharing information with fellow Wikipedians. Yesterday I attended Cow-Con, a conference devoted to sustainability and vegan activism, from the makers of the Cowspiracy documentary. The packed event featured concurrent talks running from 11 a.m. to 7 p.m. without any formal break periods, followed by a panel discussion. I attended six of the the talks, and took some photos. I’d first watched Cowspiracy at a screening in the fall of 2014, and enjoyed it so much that I went to a second screening and bought the DVD directly from the producers and directors, Kip Anderson and Keegan Kuhn. A new cut of the documentary, executive produced by Leonardo DiCaprio, was later released on Netflix; I have not (yet) watched that version. While Cowspiracy focused primarily on the environmental destruction caused by animal agriculture, I was pleased that most of the speakers I watched at the conference addressed the ethical aspects of veganism. 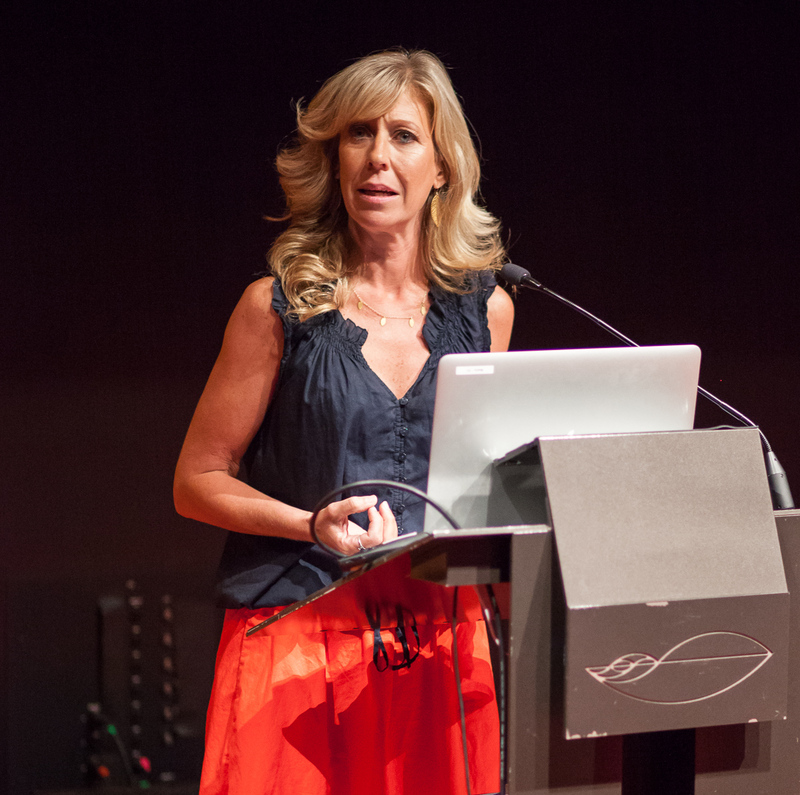 Colleen Patrick-Goudreau talked about using compassion rather than aggression to be a more effective vegan activist. Mark Hawthorne gave a sobering picture of the dreadful harm inflicted upon animals raised for food, clothing, and entertainment. Marji Beach spoke movingly about the residents of Animal Place sanctuary. 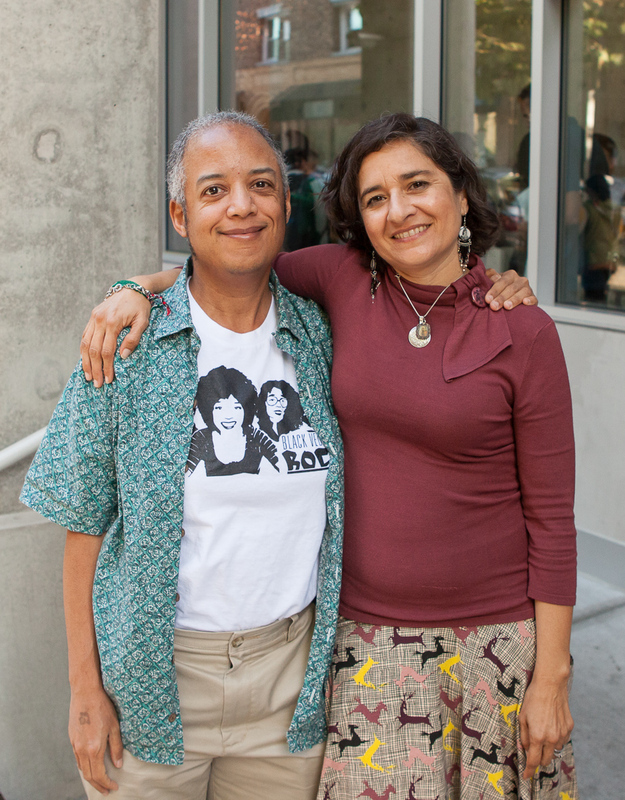 lauren was one of only a couple of people of color speaking at this conference. Since getting woke, I’ve become a lot more sensitive to racial dynamics in both online and offline spaces, especially in the “animal whites movement“. Cow-Con felt like a white-centered event to me, not just in optics (as we must be wary of purely cosmetic diversity) but in tone as well. 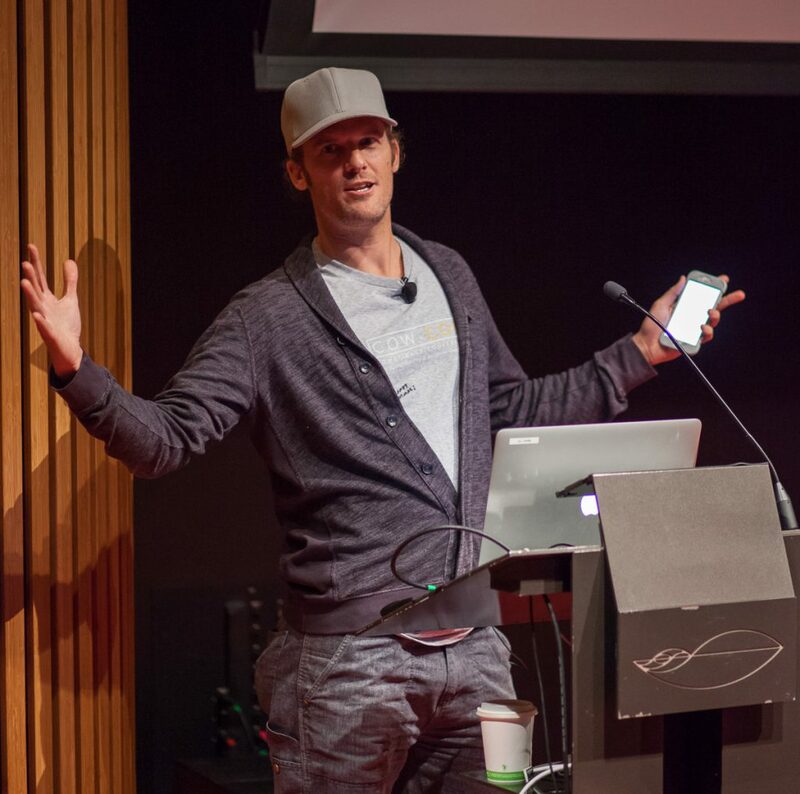 One example: In the opening talk by Cowspiracy star and co-producer/director Kip Anderson, he stated that just being vegan isn’t being an activist. He said that Leonardo DiCaprio, who is not vegan, has done more a lot more to help animals than vegans who just sit home on the couch and do nothing. This activist-shaming rubbed me the wrong way, especially coming from one able-bodied, cisgender white man in reference to another such man who is also an A-list celebrity. I explained in “Dear marginalized vegans” why it is harmful to pressure vegans into “doing something” for the animals without recognizing the challenges they might face in their daily lives. I’m not saying that Kip is racist; though some argue that all white folks are racist, all men are sexist, all humans are speciesist, etc., that’s not my point here. I just want activists to acknowledge their privileges and not shame other vegans. Simply committing to unwavering veganism, and not being apologetic about it, is advocacy as far as I’m concerned; whether “advocacy” qualifies as “activism” is a matter of semantics, and ultimately a divisive debate. As I’m still dealing with depression and dysphoria and staying home most of the time, I was overwhelmed by the crowds at this conference, and left before the final panel discussion (which consisted of four white men). Regardless, I’m glad to have spent a few hours in an all-vegan space, and glad the event was sold-out and had many attendees from outside of the already vegan-friendly San Francisco Bay Area. I didn’t take a lot of pictures (there were at least two official photographers present anyway), but I’ve posted my full set of photos to Flickr. Please credit me as Pax Ahimsa Gethen if you use any of them, thanks! 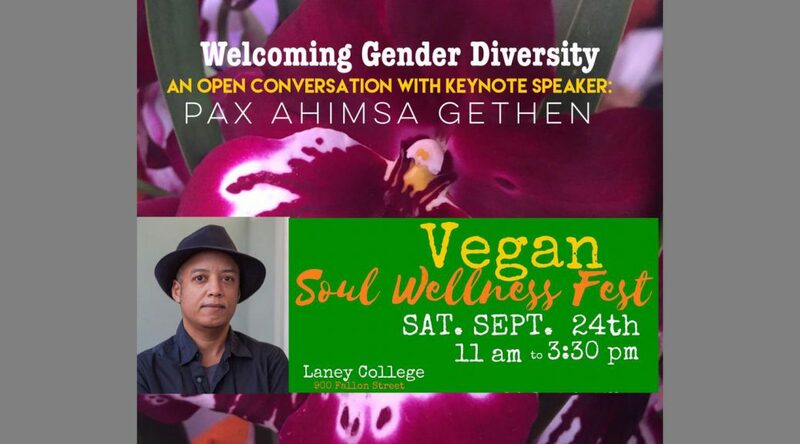 On September 24, I’ll be one of the keynote speakers at the Vegan Soul Wellness festival in Oakland. 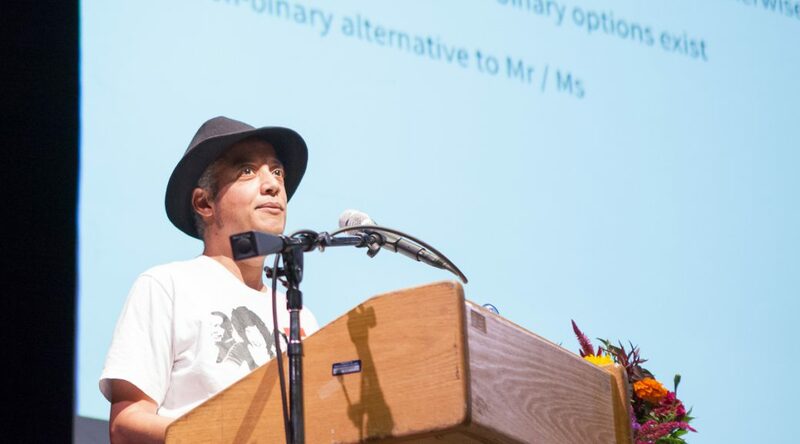 I’ll be presenting an updated and expanded version of the talk I gave at the Intersectional Justice Conference earlier this year: Welcoming Gender Diversity: Trans, non-binary, and intersex inclusion in activist spaces. I’ll be representing Black Vegans Rock and discussing the intersections of racism and cissexism as part of my talk. The other keynote speakers are David Carter, aka The 300 Pound Vegan, and his wife, photographer and activist Paige Carter. 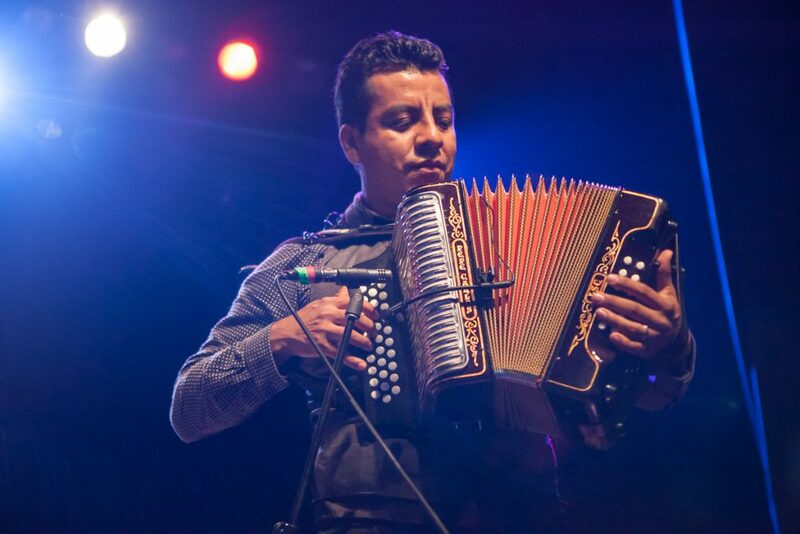 The festival will include workshops, cooking demos, food vendors, and more. If you’re in the SF Bay Area, come check it out! ETA: My talk is currently scheduled for noon. The final schedule should be posted closer to the date of the event. Friday night I attended Rock Against the TPP, a rally and concert in San Francisco to protest the Trans-Pacific Partnership. The TPP deal was so secretive and problematic that Hillary Clinton, Donald Trump, and Jill Stein are all against it, which is likely one of very few things those presidential candidates all agree on. 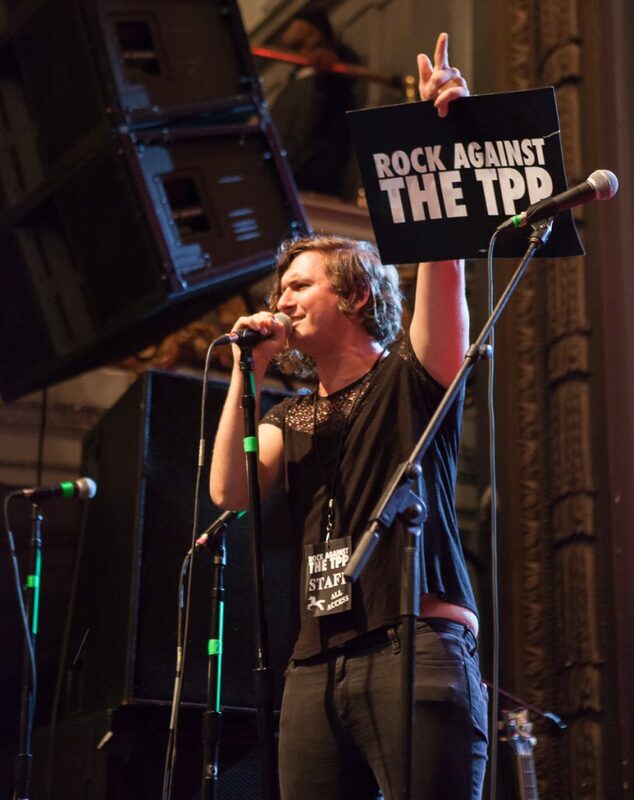 You can read more about the issues and see upcoming tour dates for the concert on the Rock Against the TPP web site. I learned about this event from Evan Greer, a trans activist who is frequently misgendered; I’d previously signed her petition calling for news editors to confirm the gender pronouns of their sources. 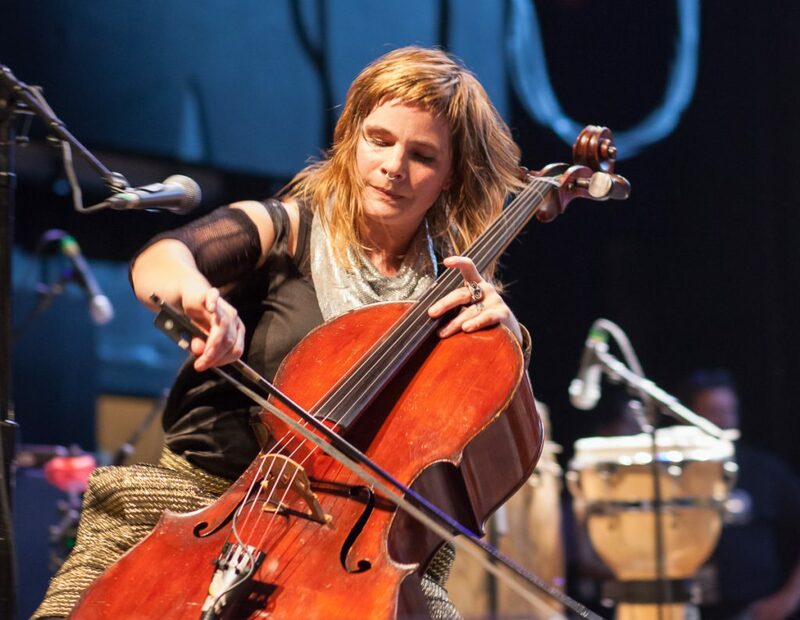 Greer was even misgendered on stage at this concert that she co-produced (and also performed in), which was painful to witness. 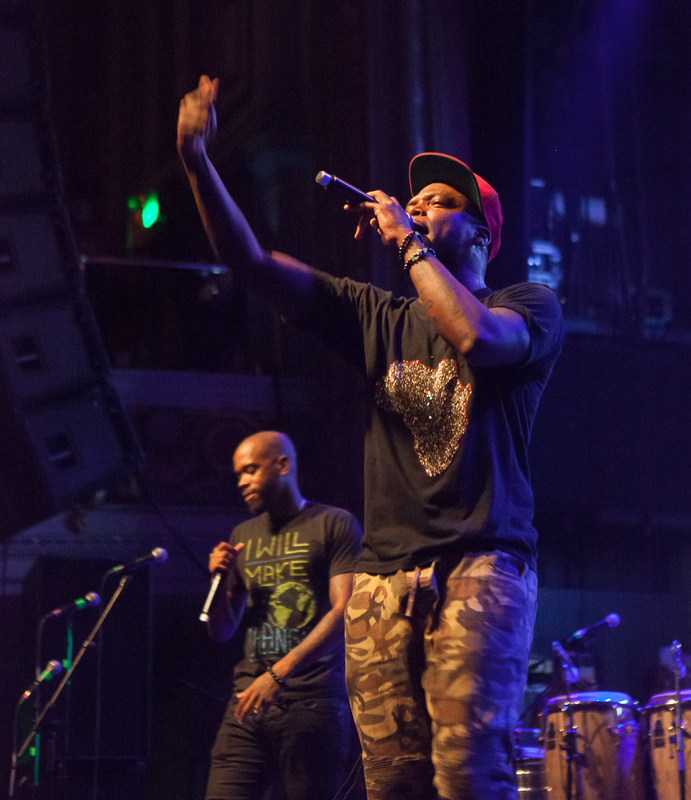 Besides Greer, speakers and performers included Raw-G, Ryan Harvey, Built for the Sea, Bell’s Roar, Sellassie, Bonfire Madigan, Jello Biafra, La Santa Cecilia, Jeff Rosenstock, Taína Asili, Audiopharmacy, and Dead Prez (featuring black vegan Stic Man). Quite a variety of musical styles were represented. 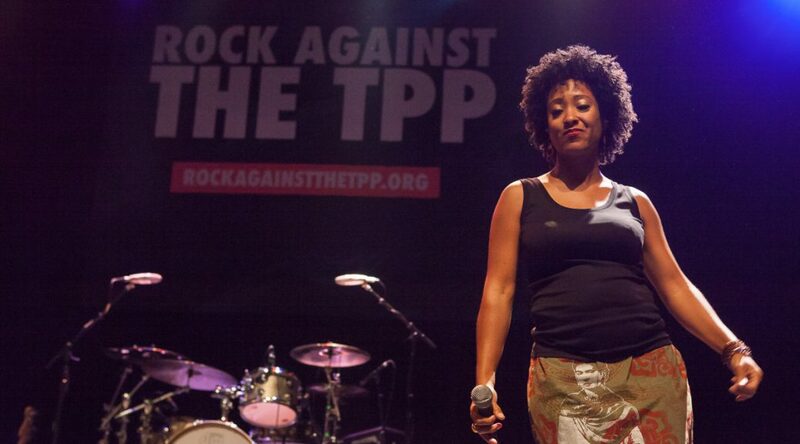 The musicians and other speakers talked about a number of social justice issues besides the TPP, including the Dakota Access Pipeline, racist police violence (hip hop artist Sellassie was one of the Frisco Five who helped oust police chief Greg Suhr), and access to healthy food and medical care. 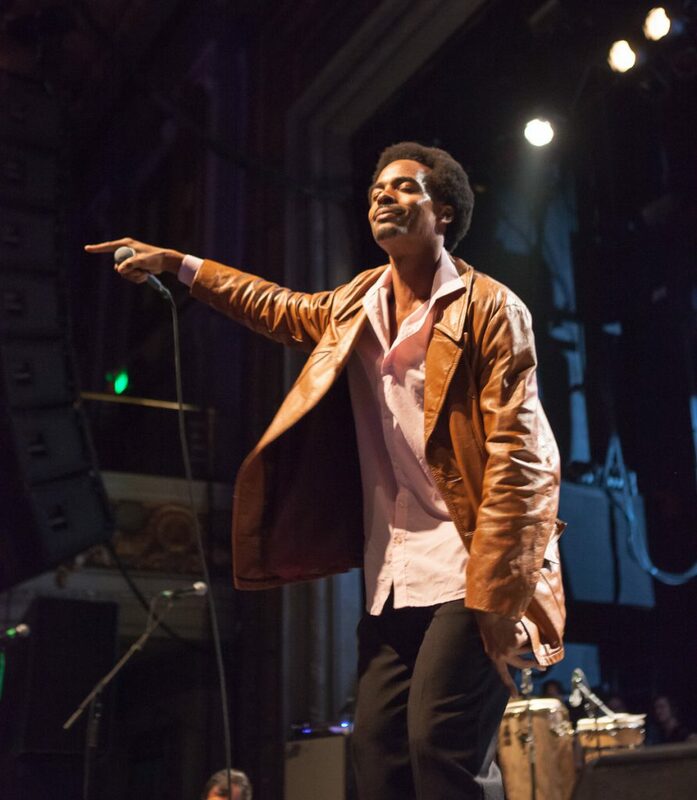 The crowd, which filled the Regency Ballroom, was engaged and energetic.